1. 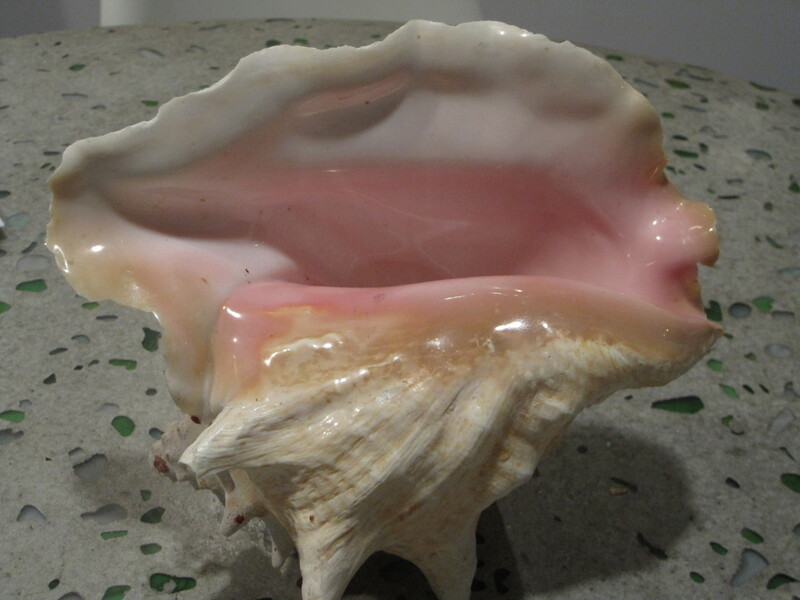 I have this GIANT CONCH SHELL on my kitchen table. It is from a pink sand beach in Eleuthera,Bahamas. It is one of those giant shells you see in stores and think it isn’t real. There it was on the beach one morning when I was walking. I carried it back to my room and then proceeded to carry it back on the plane with a three-year old and a six-year-old. I see that shell every morning and it reminds me of a pink sand beach and a happy very young family. 2. 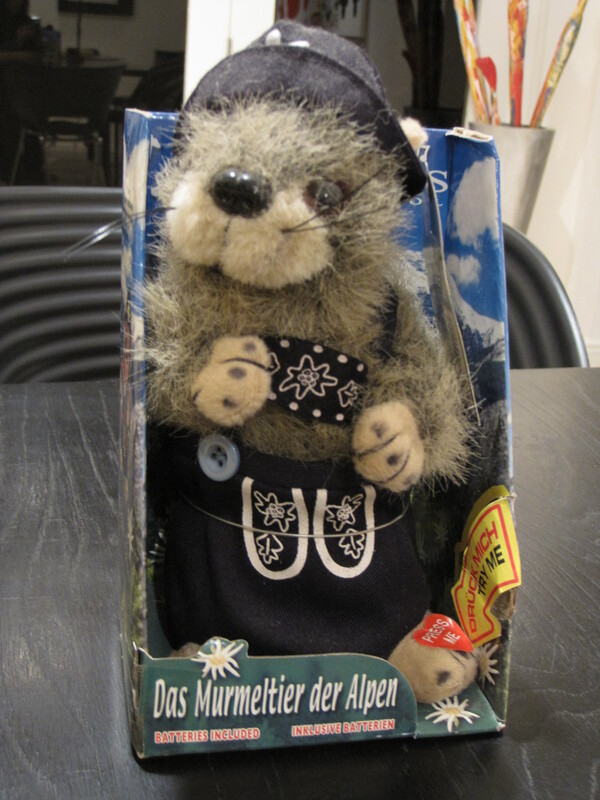 My friends told me about the perfect gift to bring from Munich – DAS MURMELTIER DER ALPEN ( singing animal in the chipmunk family) They told me to buy them at the airport –more carry on bags. I put them in the overhead compartment and went to sleep. Weisswurst breakfast is very heavy in the morning (white sausages and a pretzel) Suddenly everyone on the plane is in a panic. There is a clicking noise and no one can figure out what it is. Our first thought is that it must be a bomb. As they are about to call security, the yodeling and drinking songs in German begin. The chipmunks had started singing in the overhead compartment. Travelers are way too stressed out these days. 3 The Maneki-neko (beckoning cat) is a sign of good luck in Japan. They are made of ceramic ( most common) and usually come in pairs. You can find them everywhere in Japan. The beckoning right hand means money and the left hand means happiness. BECKONING CATS are found often in Japanese businesses and homes. 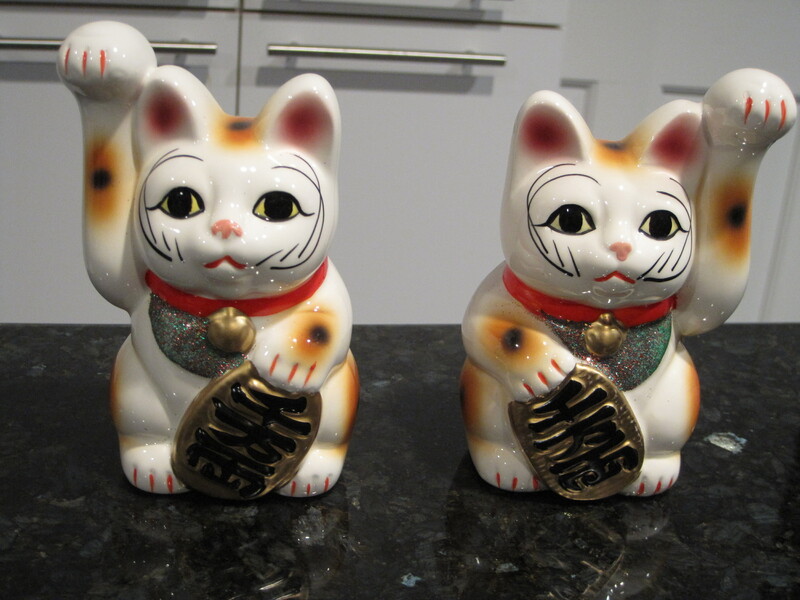 Since I felt that everyone in my family needed Japanese luck, I bought several pairs of the cats. Between the Starbucks mugs from every city in Japan and the several pairs of cats, they overflowed into my carry on luggage. I’m pretty sure airport security in Osaka would have laughed at me while looking at the x-ray machine, if it wasn’t Japan and they weren’t so polite. 4. The following year I had to carry the protective and breakable lions from Okinawa. They are called SHISAS and are half lion half dog from Okinawan mythology. They come in pairs. 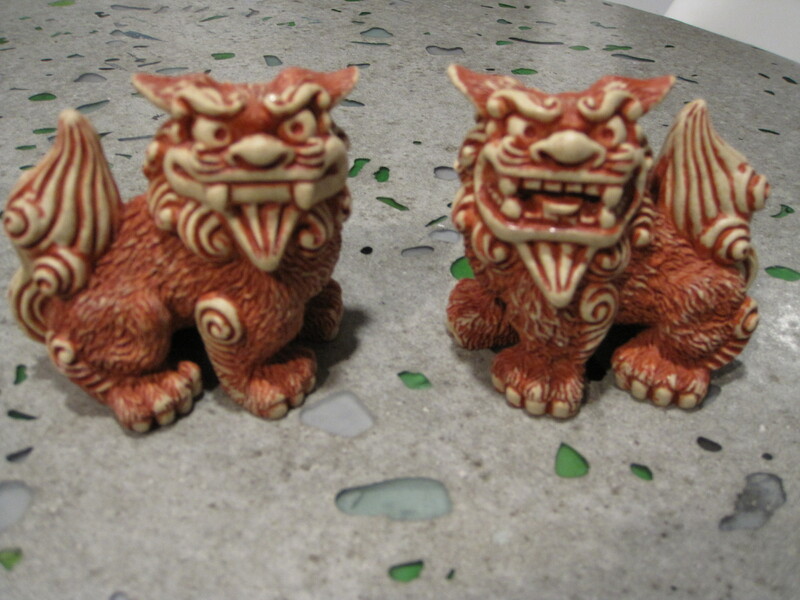 The shisa on the left traditionally has a closed mouth, and the one on the right has an open mouth. The open mouth is to ward off evil spirits and the closed mouth is to keep the good spirits in. They are usually guarding the entrances to homes and businesses. They are sold everywhere in Okinawa. 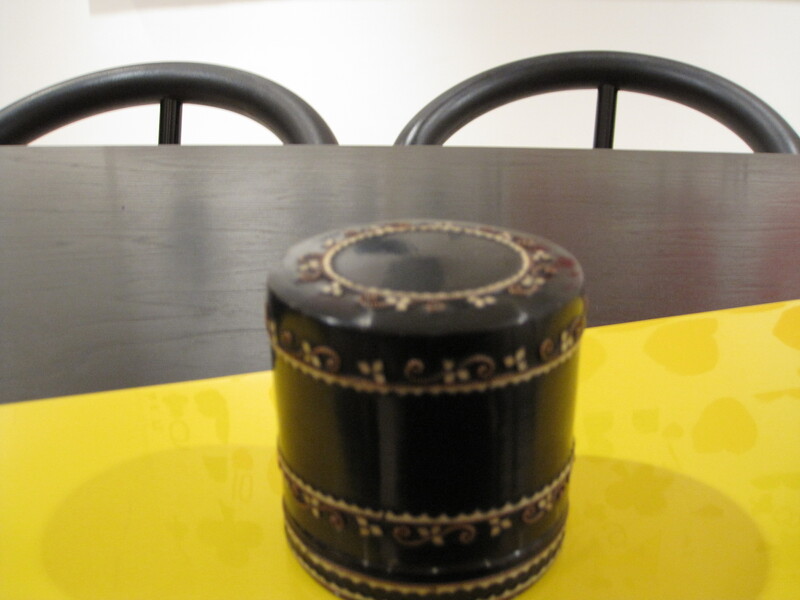 I feel that anything to ward off evil spirits makes an excellent gift. 6 There is a Shang Hai Tang store in the Hong Kong airport and it was having a sale. Shang Hai Tang is DESIGNER CHINESE CLOTHES. Their flagshop store is in Hong Kong but was always one of my shopping stops in NY. Changing planes in Hong Kong, I managed to add to my already bulging hand luggage , two sweaters, a shawl and some Chinese shirts in beautiful fabrics. You can’t go to Hong Kong without shopping – even if it is just in the airport. 7. My goal when skiing in Cervina, Italy was to find a pair of those FLUFFY WHITE AFTER SKI BOOTS It was many years ago and I had never seen them when I was skiing in Vermont. I finally found the perfect pair in a shop next to my favorite cappuccino bar. The best thing was to wear them on the plane since they took up so much space. It was April and we had been spring skiing. Changing planes in Brussels, we were walking slowly and my friends and I got bumped from the plane. I remember thinking it was odd that the teacher left us there. The four of us were sixteen and seventeen. I felt really embarrassed walking around the city in those after ski boots, ( the weather was quite warm) but having an unexpected free day and night in Brussels was very cool. 8. There is a craft market in the Plaza del Armas in Old Havana not far from El Floridita. (Hemingway’s hangout where he used to drink his daiquiris not mojitos) They sold WOOD CARVINGS OF DANCERS The woman who was helping me spoke English with no accent. She told me her father was the linguistics professor at the university and she spoke twenty languages . She was selling wood carvings for a dollar. They were quite nice but very delicate . . I had to put them in my carry on bag and hold it very carefully. Still,many of them arrived with missing limbs. It looked a bit like a war when I unpacked them. Arms and Legs all over. –luckily there is no shortage of crazy glue here. 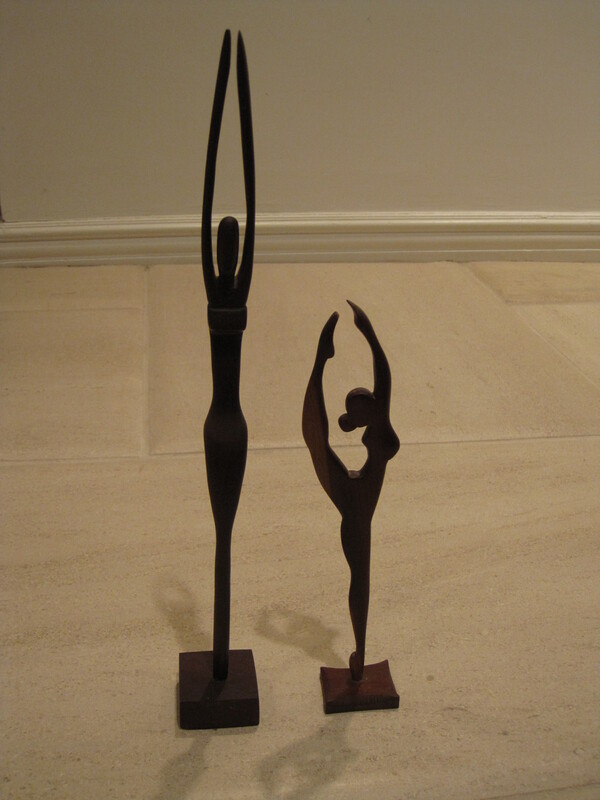 They were great gifts for all our dancer friends. 9. Hvar,Croatia is where some of the highest quality of lavender is grown in Europe. I bought a lot of small glass bottles of LAVENDER OIL I figured if something broke, it would be better in my carry on bag. . Lavender would have a calming effect on the nervous post 9/11 fliers. 10 Coca leaves have been part of the Andean Culture for 5000 years. 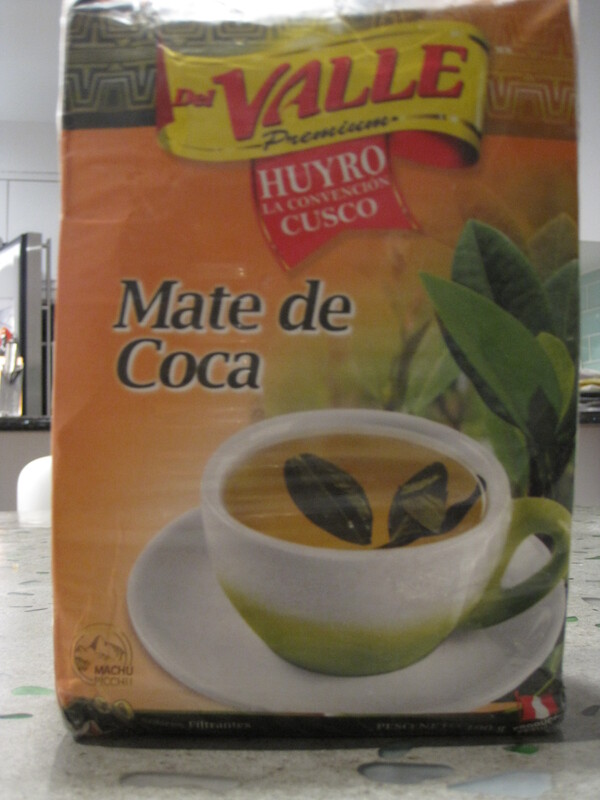 COCA TEA is made from the coca plant. It is not cocaine like grapes are not wine. Neither drinking or chewing turns it into cocaine. It is a mild stimulant without the speedy effect of caffeine. However when airport security sees a word like coca, they are paranoid. I thought the best thing to do was put some in my luggage and carry a few in my hand luggage as well. If I got stopped, this would show that I was innocent. (I watch a lot of Locked Up Abroad episodes) The guide in Peru was trying to find out once if it was ok to bring back coca tea to the states. She asked airport security in Miami and was questioned for four hours. I didn’t want to bring it up.I walked through customs in Miami right passed the sniffing dogs with no problem. Some things are good to carry with us and others should be put down or left where they were. We choose the things we carry.